Woof! Hello, my name is Rudy. 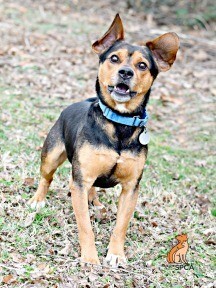 I am a tricolor, 1 year old, male. I have a lot of energy and I prefer a home with no large dogs or small children. 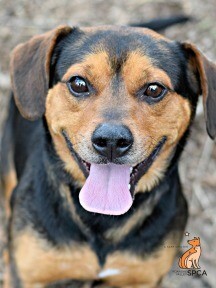 I weigh 27 pounds, have been neutered, vaccinated, microchipped and heartworm tested. 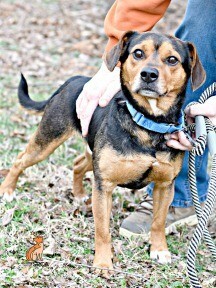 Come visit me today at the Roanoke Valley SPCA between Noon and 6 pm. 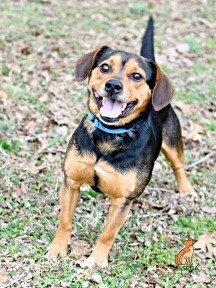 Visit him at Roanoke Valley SPCA to get acquainted. Call or go to their website to familiarize yourself with what you'll need to begin the adoption process. Remember, adoption is a lifetime commitment, one full of love and reward but also financial and personal responsibility. Take the time to prepare, commit, and fall in love for a lifetime.